North Bay Fixed has a nice write-up on the Trickcat that went down in Sacramento this past weekend. Head on over and check out some more pics and what the guys had to say. This picture came out awesome. 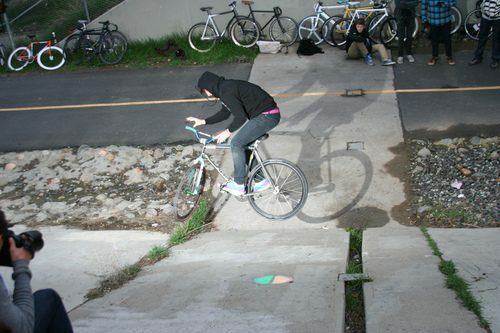 Taylor Dwight doing a 180 bar on a bank. Edit: Locked Cog just posted a nice write-up too!